Ashita v3 - Addons Update - Direct3D API Support! -- Load the texture from a local file..
-- Create the moogle vertex buffer..
-- Lock the vertex buffer for writing..
-- Write the vertices to the vertex buffer..
-- Loop the entries data members..
-- Write to the vertex buffer pointer..
-- and step the pointer as we go..
-- Unlock the vertex buffer..
-- desc: Event called when the addon is being rendered. 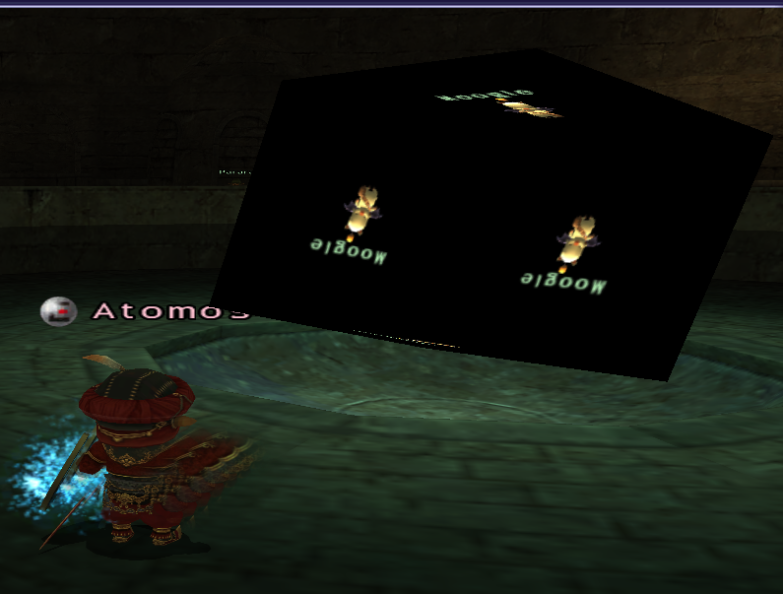 -- Step the rotations to make the box spin..
-- Prepare the render states for our box..
-- Set the world transform..
-- Draw the moogle box..
IDirect3D8 can be accessed via: ashita.d3d8. IDirect3DDevice8 can be accessed via: ashita.d3d8dev. d3dx8 extensions can be accessed via: ashita.d3dx. More info / docs coming soon for this as we are working on moving some of our site things around and such. A new Lua lib was added for this as well named 'd3d8.lua'. It holds all of the D3D8 macro definitions from the .h files of the d3d8 sdk for C++. You can use either the direct values or the macro names in Lua as they are seen in the d3d8.lua file.